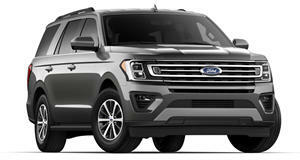 Almost exactly a year ago, Ford announced a production increase for its then all-new Expedition and Lincoln Navigator because of surging demand. It’s not exactly a bad problem to have. However, that production boost wasn’t enough. The automaker will increase production for both large SUVs a second time by 20 percent starting this summer at its Kentucky Truck Plan in Louisville. Another 550 jobs will be added as well. "After seeing a continued increase in customer demand for Expedition and Navigator, we are boosting production for a second time to meet it,” said John Savona, Ford’s vice president of North American manufacturing. Turns out Expedition retail sales increased by 35 percent since last year. 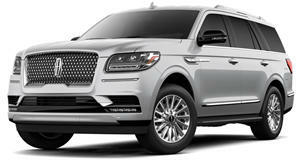 The SUV’s average transaction price also increased by $11,700 and now comes to $62,700. 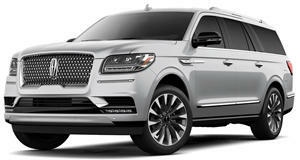 Not to be outdone, the even more luxurious Lincoln Navigator experienced a 70 percent sales growth in 2018 from 2017. A total of 17,839 units were sold, which beat its previous record set in 2007. But it wasn’t so easy for Ford to just request a production boost by, say, signing some documents and arranging some financing. It was a lot more complicated. You see, the production facility can physically only handle up to a certain amount; there’s just not enough space. So Ford had to get creative by adding pits and platforms so more line operators working in the same area can do their tasks while also complying with varying height requirements as unfinished units move down the assembly line. But it turns out Ford has been struggling with this production issue for some time. Until solutions could be found, Expedition national advertising was nearly non-existent, but that’s changed. A new 30-second commercial, shown above, with a voice-over by none other than Walter White himself, actor Bryan Cranston, will soon be gracing your TV screens. With Ford soon freeing itself from conventional sedans and hatchbacks in the US, it’s now in a better position to focus on vehicle segments where it makes the most money: SUVs and pickup trucks.